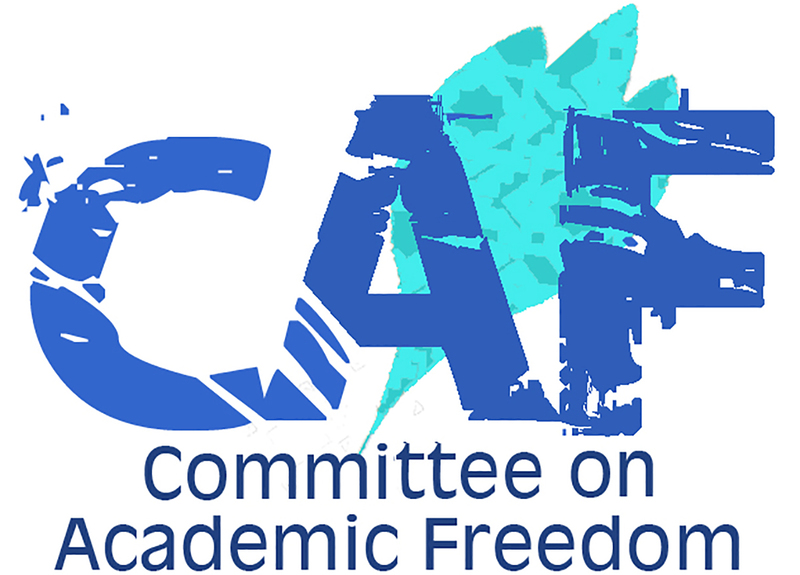 We write to you on behalf of the Committee on Academic Freedom (CAF) of the Middle East Studies Association of North America (MESA) to underscore, for the second time, our profound concern regarding the ongoing detention of the prominent Emirati economist and rights activist, Professor Nasser bin Ghaith, and to protest the unlawful conditions of his incarceration. From the time of his arrest by Emirati security officers on August 18, 2015 until his first appearance in front of a judge in Abu Dhabi on April 4, 2016, Dr. bin Ghaith was held incommunicado in secret detention, without any contact with his family or lawyer. It was only in June that he was removed from the undisclosed location and transferred to al-Sadr prison in Abu Dhabi. Throughout the eight months of his ‘disappearance,’ not only did his family not know where or why he was being held, but the government did not even acknowledge that he was in its custody. Moreover, Dr. bin Ghaith informed the court, at his first and second hearings, that he had been beaten and tortured, including being deprived of sleep for up to one week. We vehemently object to such treatment and call upon the Emirati authorities to ensure that Dr. bin Ghaith receives a fair trial – now scheduled for Sept. 26, 2016 – and the ability to defend himself against the alleged charges, in full consultation with his lawyer. Since his first appearance at the State Security Chamber of the Federal Supreme Court in Abu Dhabi on April 4, 2016, Dr. bin Ghaith has been brought before a judge three more times: on May 2, May 23, and June 20. Various charges were brought against him at these hearings including: 1) “committing a hostile act against a foreign state” in reference to statements he made on Twitter criticizing Egyptian authorities on the anniversary of the massacre on the Rabe’a al-Addawe’ya esplanade; 2) “posting false information in order to harm the reputation and stature of the state and one of its institutions,” relating to other statements he made on Twitter claiming that he had not been granted a fair trial in 2011 as part of the “UAE5” case; 3) “communicating and cooperating with members of the banned Al Islah organization,” referring to meetings, in December 2011, between Dr. bin Ghaith, Dr Mohammed al-Roken, one of the “UAE 94”, and Amnesty International’s Secretary General; 4) “communicating and cooperating with members of the banned Emirates Ummah Party, referring either to a presentation he was invited to make on the Islamic economy by a member of the Ummah party, in his capacity as a professor of economics, or to an email sent to Dr. bin Ghaith in 2012 by Hassan al-Doqqi, the Secretary General of the Emirates Ummah party, asking him for advice prior to establishing the party, but to which bin Ghaith had not responded. From the above charges, it appears obvious that he is being detained for peacefully exercising his rights to freedom of expression, association, and assembly. It is particularly egregious that at least until June 20,, he was denied the right to meet with his lawyer between court hearings and that his allegations of enforced disappearance, torture and other ill-treatment have not been addressed. We wrote to you on August 21, 2015, three days after Dr. bin Ghaith’s most recent arrest, to protest his ‘disappearance’ and record our grave concerns for his wellbeing. We assumed, then, that the UAE Government was aiming to silence Prof. bin Ghaith and his pro-democracy activism via its new cyber-crime, anti-terrorism and anti-discrimination laws, but we repeated insistently what we had written to the Emirati authorities in our letter four years earlier (June 8, 2011), when Dr. bin Ghaith was being charged as one of the so-called UAE 5.: release Nasser bin Ghaith promptly and restore to him his right to self-expression without conditions or limitations. In anticipation of his upcoming trial on September 26, this, and the dismissal of the spurious charges against him, remain our most urgent requests. If, however, the charges remain in place and the trial goes forward, we insist that he should have regular access to a lawyer of his choice and whatever other resources he requires to prepare a robust defense. The Emirati authorities must ensure that his case proceeds in a manner consistent with the UAE’s obligations under international law, in particular internationally recognized standards of due process and fair trial.Additionally, we join international human rights organizations in calling on you to order a full and independent investigation into Nasser bin Ghaith’s claims of enforced disappearance, torture and mistreatment. Thank you for your immediate attention to this crucial matter. We await the honor of your response.